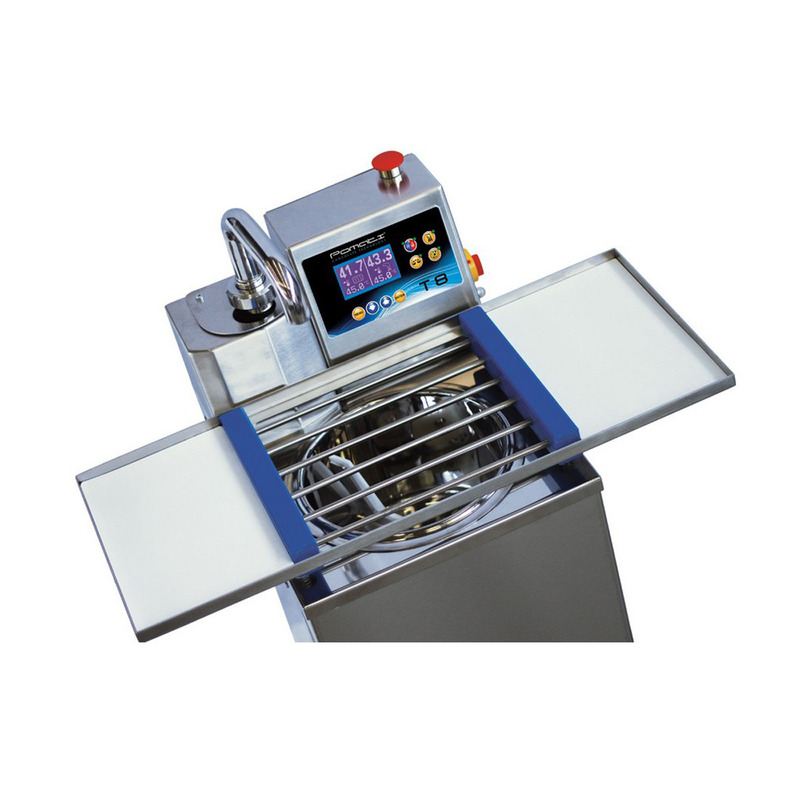 The T8 Tempering Machine features all Pomati attributes: heated and thermosealed chocolate tank, digital and thermosealed temperature commands. 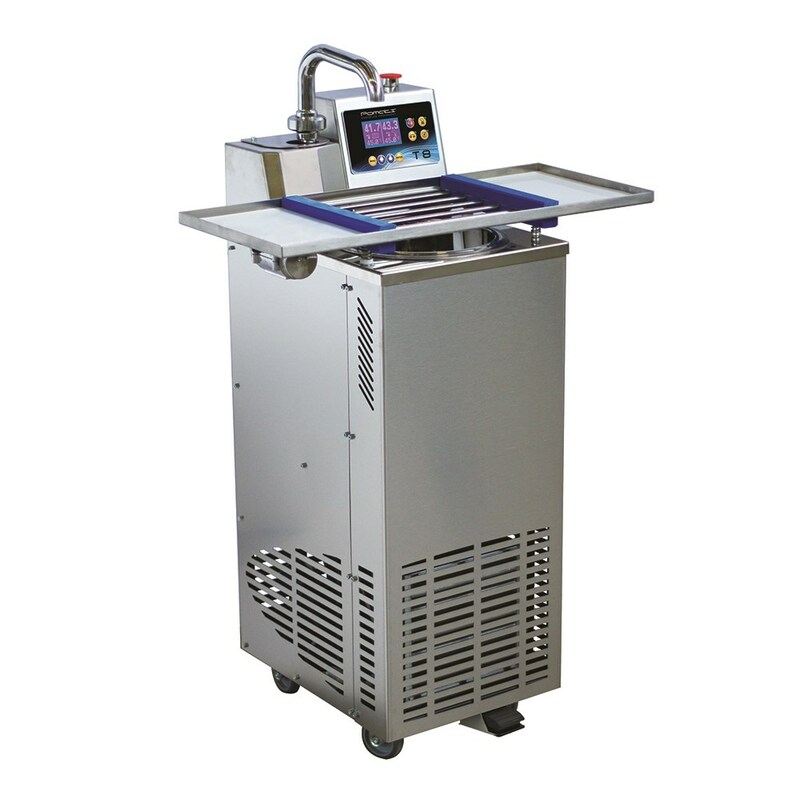 With its 19.8 Lbs of maximum capacity, this machine is the ideal helper for small chocolate and pastry laboratories. Capacity: Tank capacity 19.8 Lbs.